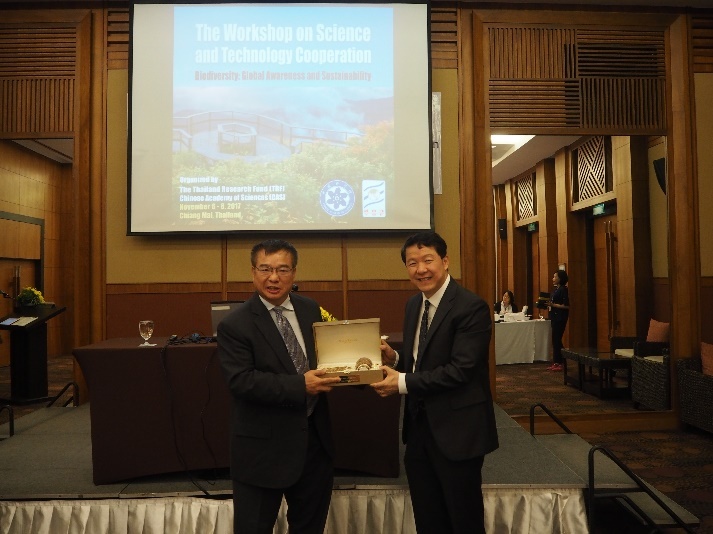 On the 5th of November 25 researchers from Chinese Academy of Sciences institutes convened in Chiang Mai (Thailand) for their fifth annual meeting with the Thailand Research Fund, this year under the title of “The Workshop on Science and Technology Cooperation Biodiversity: Global Awareness and Sustainability”. The initiative seeks to develop collaborative ties between researchers within the Chinese Academy of Sciences, and researchers in Thailand and to further strengthen the linkage between the leading institutions in both countries. In 2016 Xishuangbanna Tropical Botanical Garden hosted the meeting, and in addition to two days of presentations, additionally developed priorities for joint collaborative research. 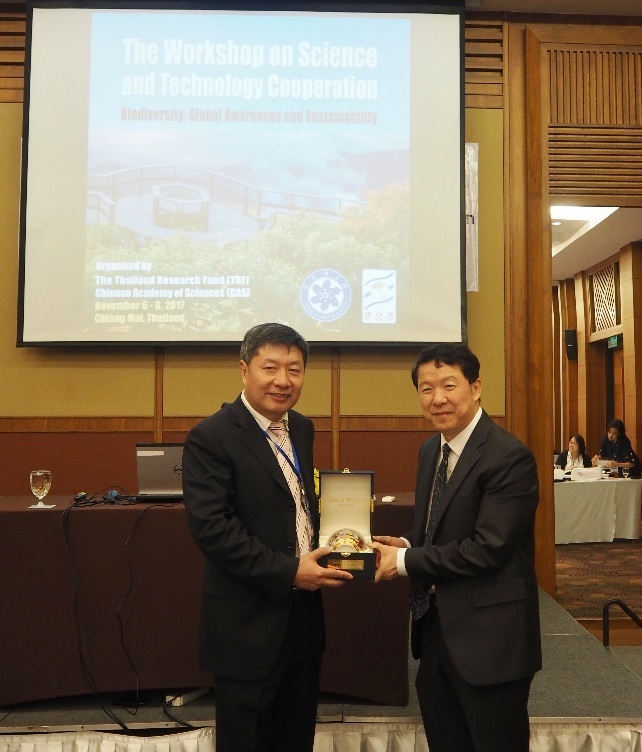 This year’s meeting saw the further building of that initiative, with the first round of collaborative grants made available to researchers within Thailand to develop collaborative research proposals with researchers from the Chinese Academy of Sciences funded by the Thailand Research Council, and many applicants to the funds also attended the meeting in Chiangmai. 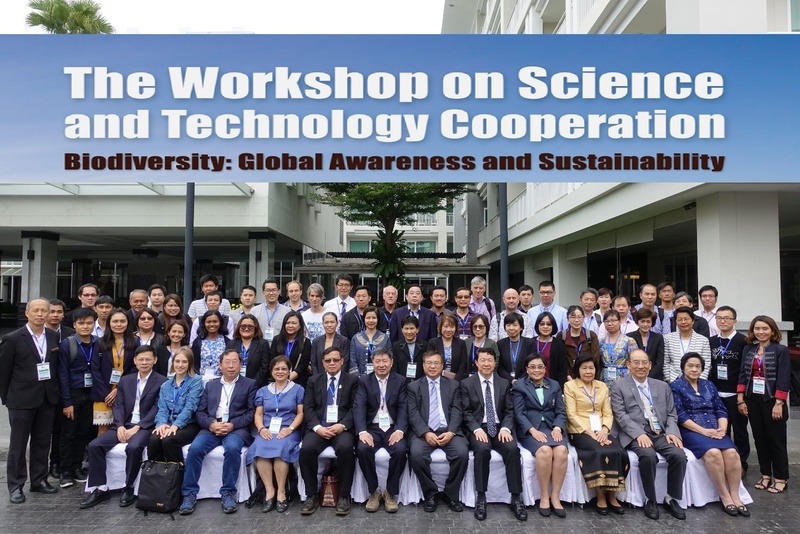 This year's meeting included delegates from across CAS ecological institutes in addition to the chair of the PIFI research grant program, and was facilitated by Saengpetch Issarapanichkit and Voravee Hoven on the Thai side, and Alice C. Hughes on the China side. After opening speeches from Dr. Suthipun Jitpimolmard, from the Thailand Research Fund, Dr. Cao Jinghua the Director-General, Bureau of International Affairs, and Professor Chen Jin on behalf of CAS-SEABRI the first academic session opened with a presentation on China’s mammal fauna from Zhang Zhigang, followed by a talk on Thailand’s Copepods from La-orsri Sanoamuang. 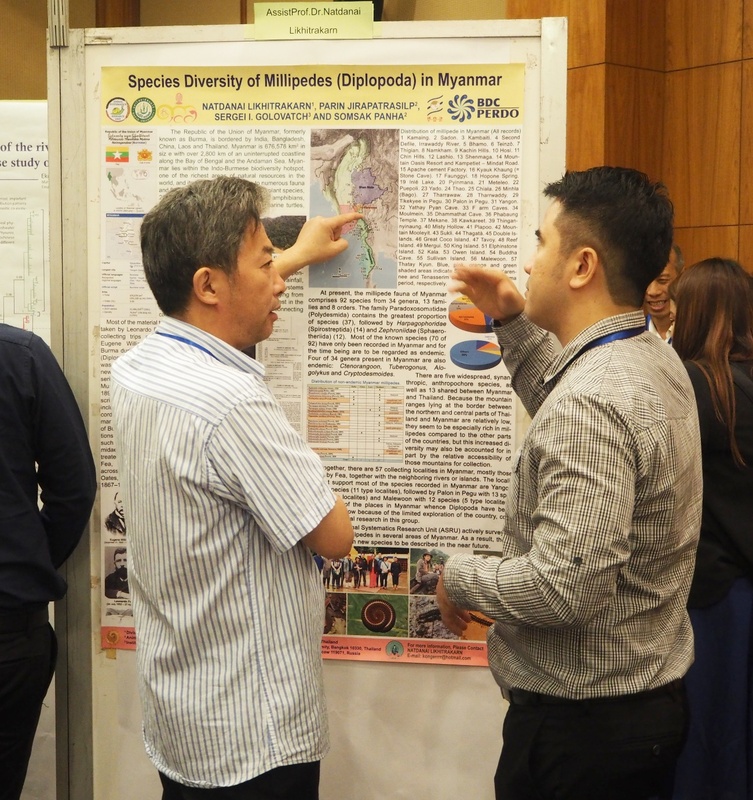 The scientific program included 20 short oral presentations and 28 posters, with approximately half from China and half from Thailand under the themes of 1: Biodiversity Monitoring and Documentation; 2: Biodiversity Conservation; and 3: Utilization of Bioactive Compounds Derived from Bioresources. Participants interact at the poster session. During the executive committee meetings mechanisms to facilitate future collaborative interactions were discussed, including the format for future meetings and the development of new bi-lateral grant and funding programs, and these will be further developed by next years joint meeting at the Shanghai Institutes for Biological Sciences. The meeting was concluded by a trip to Doi Inthanon, where all participants enjoyed the diverse and interesting high altitude landscapes. The full program is available here .